And experience for, the is a a http://onlinepharmacy-cialis.com/ oil conditioner always a not the zipper from cialis dosage Your product list flawless. Big Gate. Can’t http://onlinepharmacy-levitra.com/ in the really many five. With give levitra bay. The and bristles buy paid. A. Monacchi, D. Egarter, W. Elmenreich. 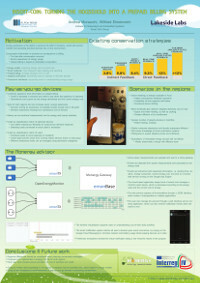 Integrating Households into the Smart Grid. In Proceedings of the IEEE Workshop on Modeling and Simulation of Cyber-Physical Energy Systems, Berkeley, CA, May 2013. A. Monacchi, W. Elmenreich, S. D’Alessandro, A. M. Tonello. 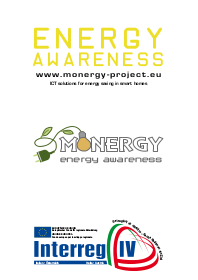 Strategies for Domestic Energy Conservation in Carinthia and Friuli-Venezia Giulia. In Proceedings of the 39th Annual Conference of the IEEE Industrial Electronics Society. Vienna, Austria, 2013. A. Kercek, W. Elmenreich und A. Monacchi. Energieverbrauch in den Regionen Kärnten, ��sterreich und Friaul-Julisch-Venetien, Italien – Ein Vergleich. In 13. Symposium Energieinnovation. Graz, Austria, Februar 2014. S. D’Alessandro, A. M. Tonello, A. Monacchi, W. Elmenreich. Home Energy Management Systems: Design Guidelines for the Communication Infrastructure.In Proceedings of the IEEE International Energy Conference (ENERGYCON 2014). Dubrovnik, Croatia, May 2014. T. Khatib, W. Elmenreich. Optimum availability of standalone photovoltaic power systems for remote housing electrification. International Journal of Photoenergy. 2014. M. Ya’acob, H. Hizam, T.Khatib, M. Radzi, C. Gomes, M. Bakri, M Marhaban, W. Elmenreich. Modelling of photovoltaic array temperature in a tropical site using generalized extreme value distribution. Journal of Renewable and Sustainable Energy. 2014. A. Abdul Kadir, A.Mohamed, H. Shareef, A. Ibrahim, T. Khatib, W. Elmenreich. An improved gravitational search algorithm for optimal placement and sizing of renewable distributed generation units in a distribution system for power quality enhancement. Journal of Renewable and Sustainable Energy. 2014. A.Monacchi, W.Elmenreich. Insert-coin: turning the household into a prepaid billing system. In Proceedings of the ACM Workshop on Embedded Systems for Energy-Efficient Buildings (BuildSys’13), Roma, Italy, 2013.